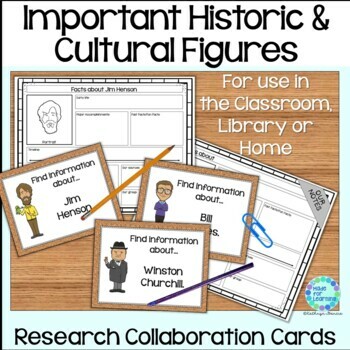 Collaboration Task Cards can be used by small groups utilizing the resources available in the classroom, computer lab, or the school library media center. Timely topics of interest (History Month) are used to provide opportunities for research while learning the skills of working together cooperatively. 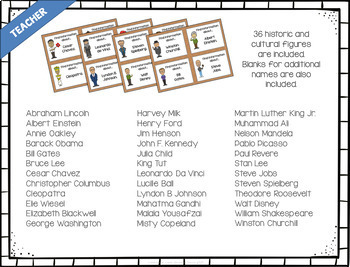 These Collaboration Cards are easily used with students at different grade or ability levels and can be limited or extended as desired. The cards can easily be mixed with other sets to create interest in many topics. See PREVIEW above for list of names that are included. 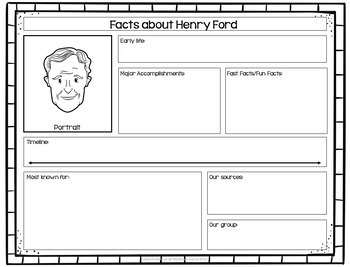 Task Cards: Group Work with United States Presidents. 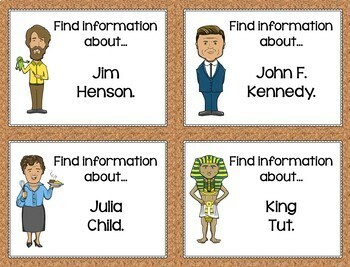 Task Cards: Group Work with Famous African Americans for Black History. *While this can be used alone in a classroom, library or computer lab, collaboration between the teacher, librarian or technologist is encouraged and easily managed with this product.